Discover Hi-Kalibre Equipment Ltd as one of the IRE's Partners now! Their innovative, patented products have revolutionized the blow out prevention industry. 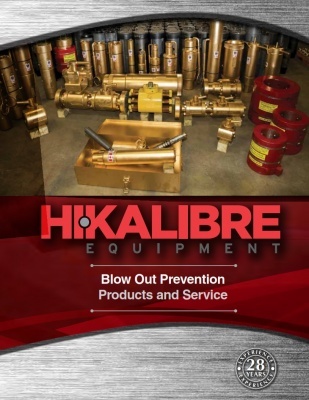 With a 29 year track record of manufacturing and innovation in blow out prevention, Hi-Kalibre is an established, world class provider of equipment and services to the drilling and exploration sector. As an API 7-1 & ISO 9001:2008 QMS registered company, they remain firmly committed to delivering the highest quality of products in the market. Please click here for our current stock list.